The Chicago Book Online Business Profile -- Standard Rubber Products Co.
Standard Rubber Products (SRP) was founded in Chicago in 1951. The company called many Chicagoland locations home, but in 1969 the family-owned die-cutting company moved to Elk Grove Village and continued to expand. "We are currently in our second generation of family ownership," says Larry Gualano, president of Standard Rubber Products, "and are transitioning to our third generation, which is something we are quite proud to continue." SRP specializes in the custom fabrication and die-cutting of a wide variety of non-metallic materials into custom parts and components such as gaskets, seals, insulators and cushioning. "We have extensive experience in working with not only natural and synthetic rubber, but also with high performance materials such as PORON, Teflon, Mylar, Formex and Kapton," says Gualano. "We can work with a material available from our extensive stock or we can help our customers select the material that will best meet their needs and requirements. We can also provide virtually any material with a pressure sensitive adhesive backing." SRP's die-cutting capabilities include steel rule die, multi-station rotary die cutting, and precision die cutting. SRP also provides water jet cutting, laser cutting, die-less knife cutting, custom lamination, slitting, and shearing. 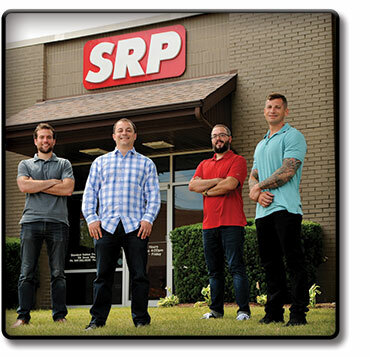 SRP employs over 50 employees at its 40,000-square-foot adjacent facilities at 120 Seegers Avenue in Elk Grove Village, and more at its wholly owned and operated factory in Zhuhai, China. It is certified ISO9001:2008, and is a preferred converter for major organizations such as 3M, Rogers Corporation, and Rubberlite Inc. It serves a total of approximately 500 customers world-wide in a variety of industries such as appliances, automotive, microelectronics, and telecommunications. "Our mission is to provide creative die-cutting solutions for our customers along with unparalleled service," says Gualano. "Our state-of-the art equipment and knowledge of materials, along with our open communications and anticipation of customer needs, sets us apart from our competitors and allows us to fulfill that mission."